The units entered in the size field are in cm. Minimum Size 3 cm x 3 cm. In these measurements, the sticker is going to be sent in several pieces. 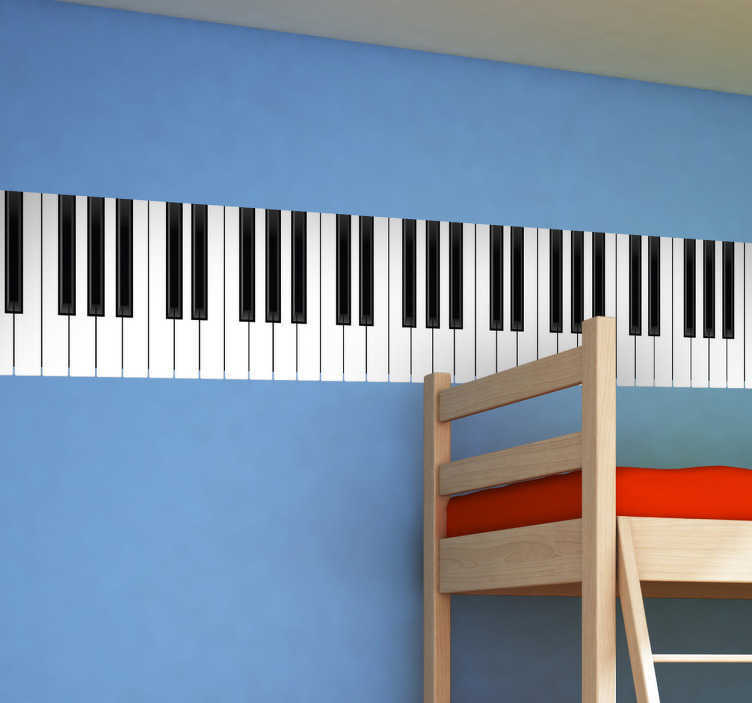 A creative decal illustrating piano keys which is perfect to decorate your bedroom if you love playing this instruments. This music vinyl sticker is lovely to obtain that musical atmosphere in your class or in a place where people play musical instruments.